For the second time in four days, an Elk Grove mayoral candidate held a campaign rally and fundraiser at the Falls Events Center. 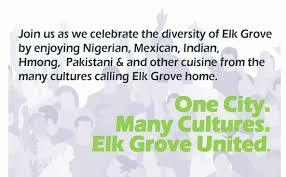 On Monday night, Elk Grove Mayor Gary Davis held what he called "One City Many Cultures" fundraiser. In addition to campaign contributors, the event drew elected officials who came to show their support for Davis as he seeks his third two-year term. Among those attending were Elk Grove City Councilmen Steve Detrick and Darren Suen. Elected officials who were unable to attend but have signaled support for Davis included Elk Grove Vice Mayor Steve Ly and Elk Grove Unified School District Trustee Bobbie-Singh-Allen. "Tonight's theme was very intentional," Davis said. "We are the seventh most diverse city of people with 100,000-plus in the United States of America." During his comments, Davis also said he is often asked how his campaign is coming along, and noted that he has intentionally not started campaigning. "I stubbornly say 'that I am not running the campaign until I have too,'" he said. "I am 100-percent focused on one thing, and that is doing my job." Davis is being challenged by Elk Grove Planning Commissioner Kevin Spease and Joel Broussard in the November general election.